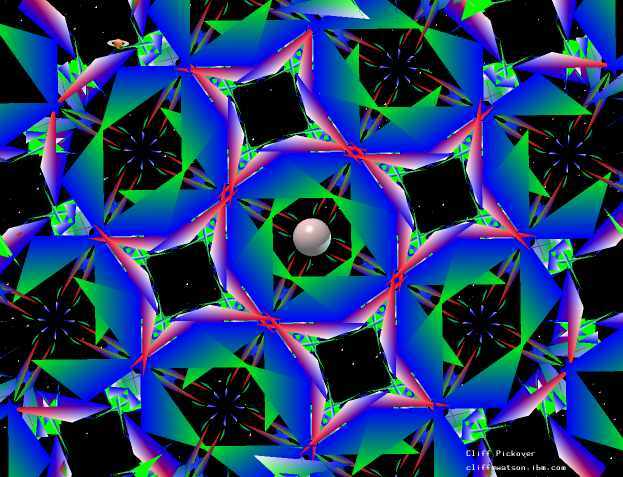 Here is a snapshot from a 3-D interactive space kaleidoscope. 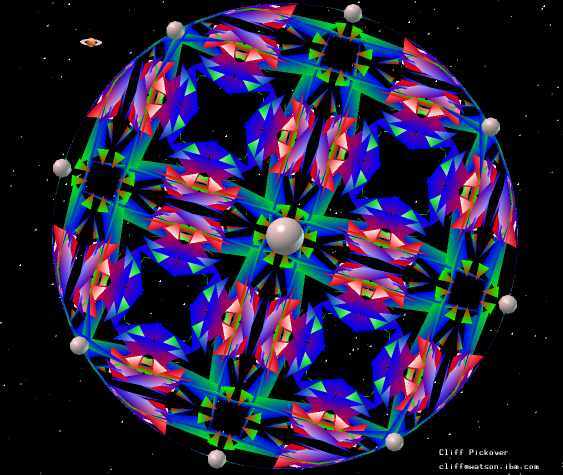 The image is controlled with a free-space hand-held kaleidoscope tube. 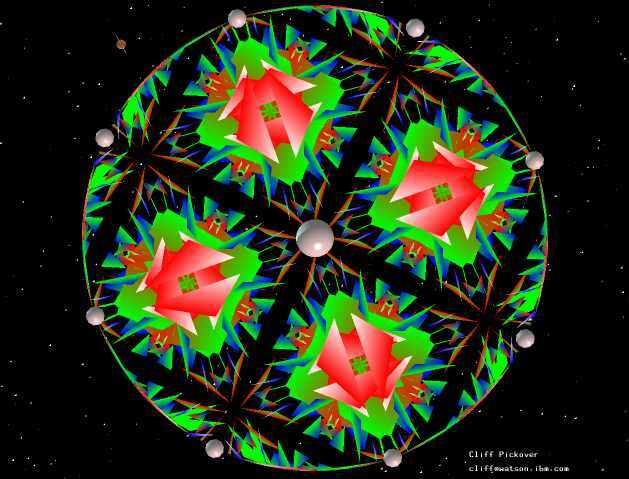 For over a hundred years, kaleidoscopes have fascinated scientists, designers, artists, and children. 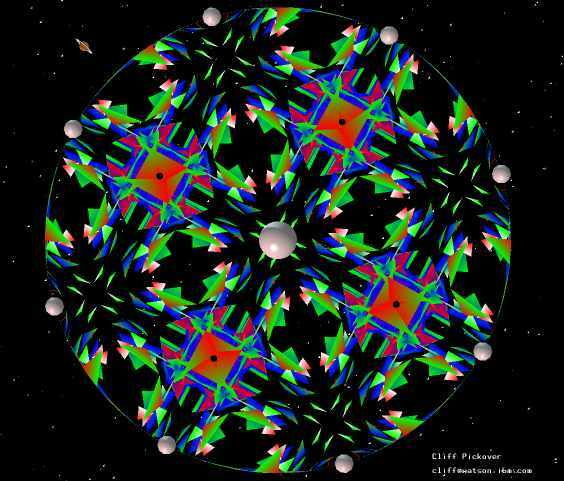 Invented by Sir David Brewster, and patented by him in 1817, kaleidoscopes have since taken many forms. Here is an image I created using a computer-generated kaleidoscope. Click on the image for computational recipes used to produce these forms. Return to my home page which includes the Wishing Project cataloging wishes from various cultures, computer art, educational puzzles, fractals, virtual caverns, JAVA/VRML, alien creatures, black hole artwork, and animations.